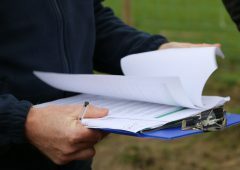 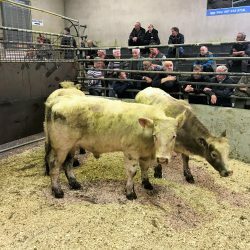 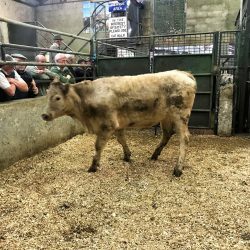 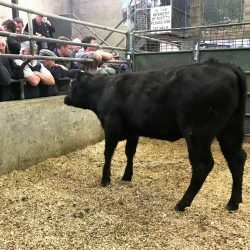 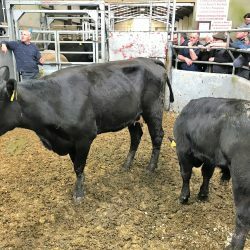 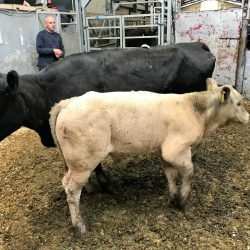 Ballyjamesduff Mart’s weekly cattle sale took place on Tuesday last (May 15). 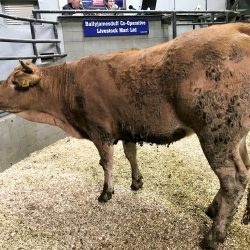 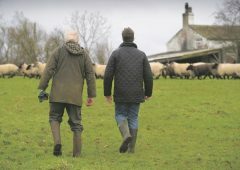 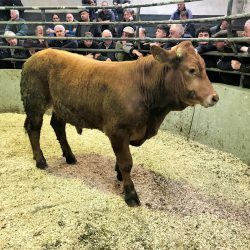 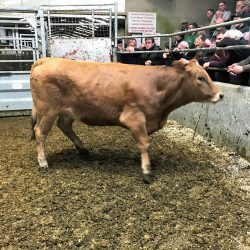 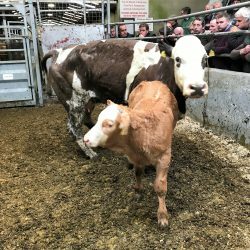 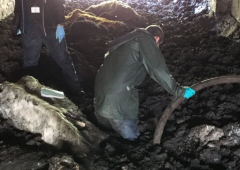 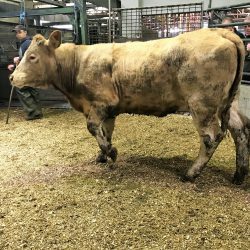 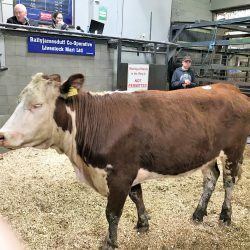 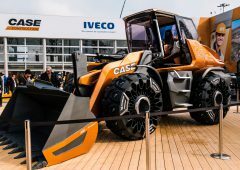 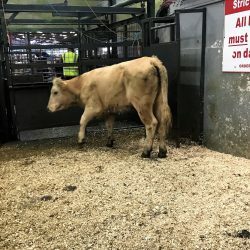 A mixture of farmers, feedlot buyers and exporters competed for cattle at the mart and the five rings were in action at the Cavan-based venue. 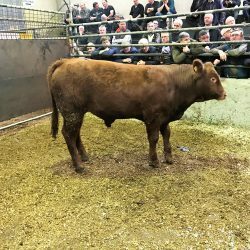 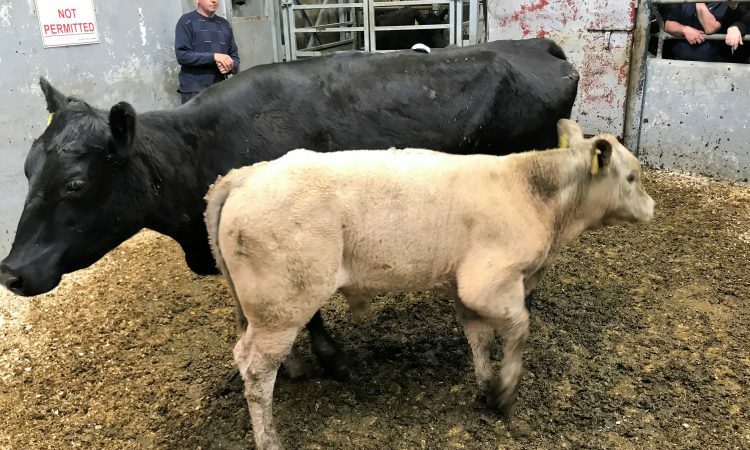 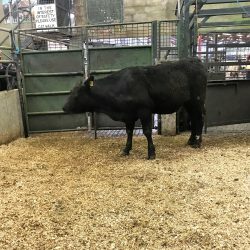 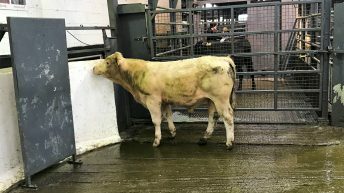 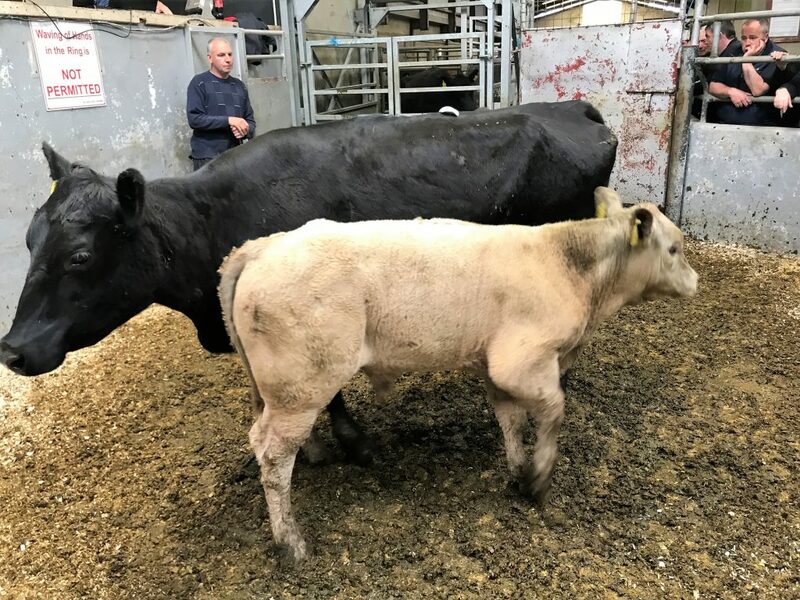 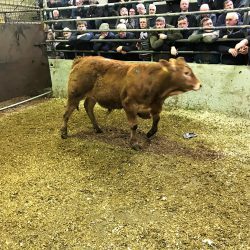 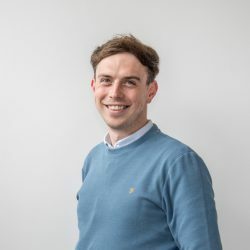 The manager John Tevlin was very happy with the sale and noted that large numbers of cattle are being presented for sale given the time of year. 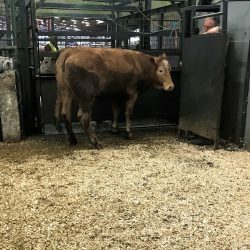 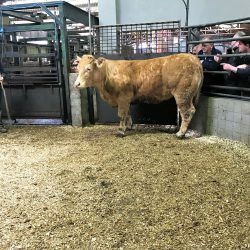 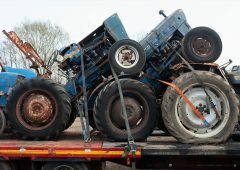 He said: “We had a yard of 1,057 cattle and all classes are selling well. 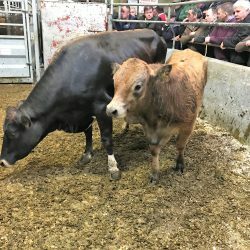 Dry cows are very much in demand, while the lighter bulls are popular among the exporters. 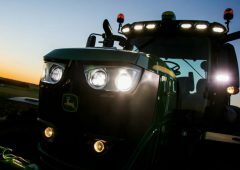 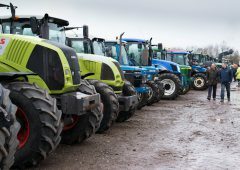 However, farmers are keeping the exporters at bay. 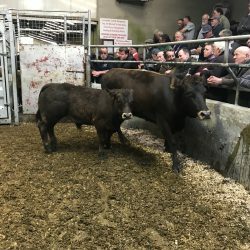 In the weanling ring, 300 heifers and 140 bulls were on offer. 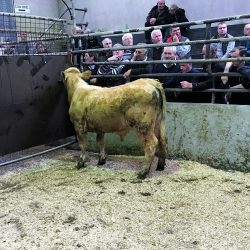 Looking at the heifer prices achieved on the day, these animals sold for €500-1,150/head. 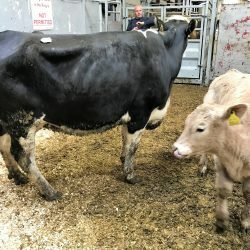 Poorer-quality heifers – particularly with dairy influence – realised the lower prices. 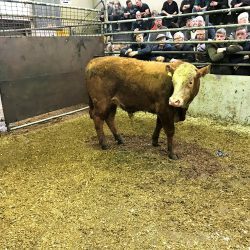 In the bull ring, the trade was sharp from start to finish. 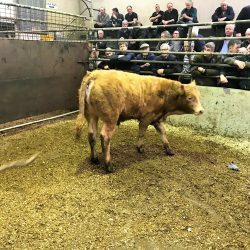 Generally speaking, bulls made €500-1,500/head. 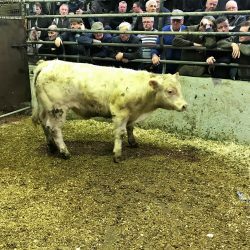 The top price of €1,500 was achieved by a Charolais bull weighing 540kg. 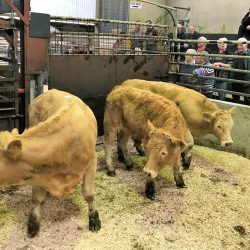 In the heifer ring, the trade was brisk for the quality lots on offer and a 100% clearance rate was recorded. 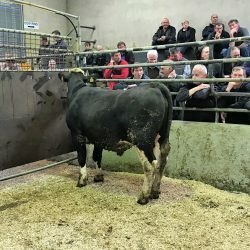 Breeding heifers were popular among buyers. 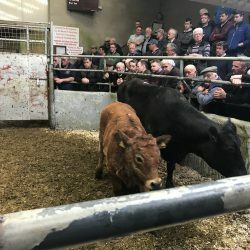 On the day, 222 heifers went under the hammer and these lots traded for €480-1,670/head. 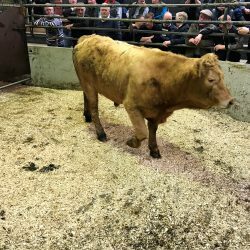 200 bullocks also went under the hammer; farmers drove the trade, as they sourced good-quality forward cattle. 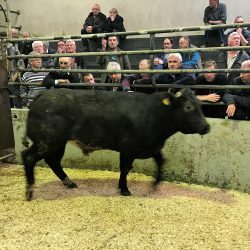 Bullocks sold for €670-1,900/head. 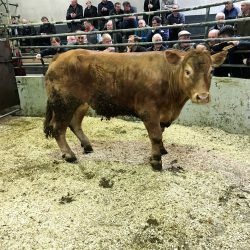 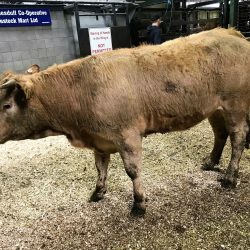 The top price of €1,900 was achieved by a Limousin bullock weighing 740kg. 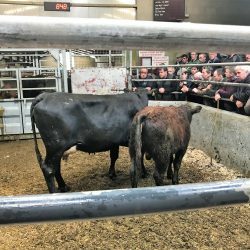 In the cow ring, dry cows were very much sought after and these lots traded for €425-1,890/head; a 100% clearance rate was recorded. 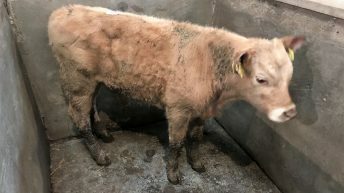 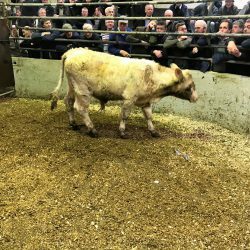 A six-year old Charolais cow achieved the top price of €1,890 on the day. 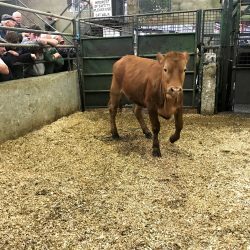 A number of cows with calves at foot also passed through the ring at the Cavan-based venue. 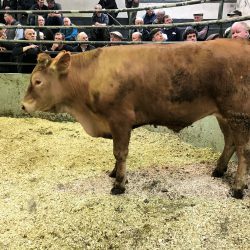 A top price of €2,800 was achieved by a Limousin cow and her twin Limousin bull calves. 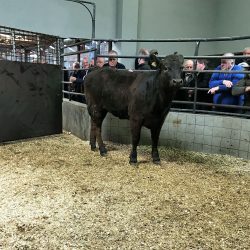 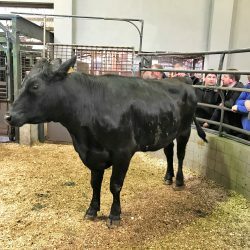 A special, on-farm, sale of red and black pedigree Angus bulls will take place on Saturday, May 26, in Virginia, Co. Cavan. 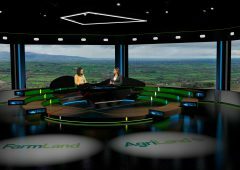 For more details, contact John Tevlin at: 086 8205371. 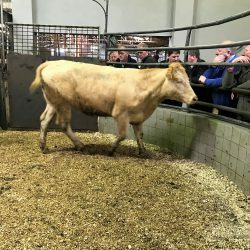 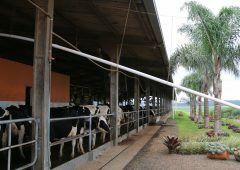 A special sale of 30 dairy cows will also take place at the mart on Tuesday next, May 22. 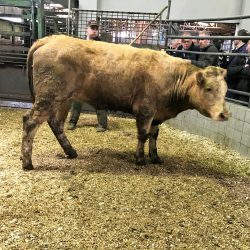 A purebred Limousin bull will also be offered.